Ohio is famous for the "Birthplace of Aviation", this midwestern state stretches from the Ohio River and Appalachian Mounts in the south to Lake Erie in the north. The Buckeye State! 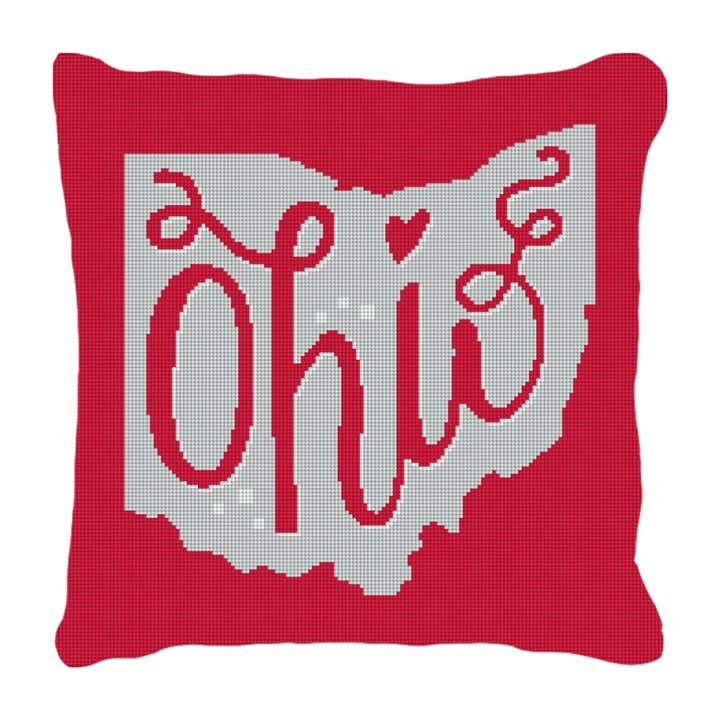 Your family may live in Columbus, Cleveland, Cincinnati or any of the other charming communities in Ohio; and you know it's definitely a place your family can call home! Stitch this needlepoint pillow canvas, and create a charming pillow for your home decor.